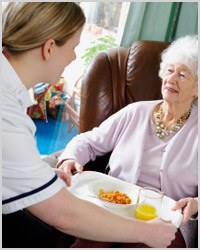 One of the most important questions when researching home care services revolves around cost. How do you bill for your services? How much does it cost? How often do you bill? Does insurance cover your services? The truth is you can find some pretty big differences from company to company for some of these questions. However, two things remain fairly consistent. 1) Medicare does not cover home care services. 2) Most companies bill hourly. Along with the exceptional quality home care you will receive from Affordable Home Care, you’ll enjoy our friendly advice from our qualified experts who will assess your care needs. Under the direction of our Registered Nurse, our experienced team of home care professionals will meet with you and discuss your concerns and care goals, create a customized care plan and help you determine how many hours of service you need to properly manage your home care needs. From short respite care services, to hands on 24 hour around the clock care, and everything in between, we tailor the perfect care giving service for you. This is a great question and once again you will get different answers from different companies, but at Affordable Home Care we treat all of our clients with the same respect and care that we would treat our own mothers and fathers. So you can rest assured, that with Affordable Home Care we will never raise your rates based on the level of care, and you will get the same quality service that we have been delivering to all of our home care clients since 1998.